A CGD™ Certified Graphic Designer and Fellow of the Society of Graphic Designers of Canada, Busse serves the national design association as a VP and past president in British Columbia. 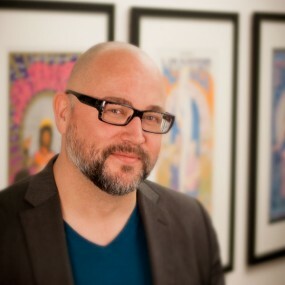 A graduate of TWU’s School of Business and UBC’s Visual Arts Program, Busse has over two decades of design and creative management experience and is a design educator, mentor, and advisor for design programs at Vancouver Film School, Capilano University, Langara College and others. Busse invests in the creative community by producing and hosting events such as CreativeMornings/Vancouver, Interesting Vancouver, and Likemind Vancouver, as well as a regular speaker at industry events and conferences. He is a writer for Design Edge Magazine and Canadian Architect Magazine, an advisory board member for Vancouver is Awesome, and a regular guest commentator on the live TV news talk show “Unfiltered” with Jill Krop on Global BC1. An active participant in volunteer initiatives, Busse has been a citizen member of the Vancouver Engaged City Task Force, a volunteer with the DOXA Documentary Film Festival, Vancouver Food Bank, and is a co-founder of Red Hood Project, the movement for online security for children and youth, as well as the popular food blog Foodists.ca. Busse lives in East Vancouver with his beautiful wife Andrea and cute little dog Pepper. Read blog posts by Mark.